The Director General of the Nigerian Maritime Administration and Safety Agency (NIMASA), Mr. Ziakede Patrick Akpobolokemi has reiterated that alternate dispute resolution is a tool that has the potential to enhance the growth of the Nigerian maritime sector. The NIMASA DG who stated this while playing host to the Maritime Arbitrators Association of Nigeria, (MAAN) in Lagos, decried the pace at which maritime sector disputes were adjudicated in the courts. Mr Akpobolokemi noted that maritime disputes in some instances linger in the courts for decades adding that this was to the detriment of the maritime sector. 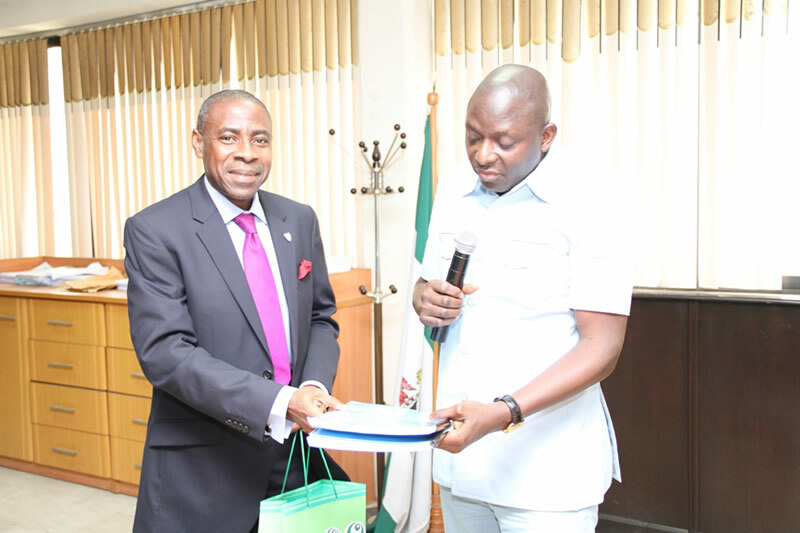 On his part, President of the Maritime Arbitrators Association of Nigeria, Dr. Omogbai Omo-Eboh commended the Director General for his efforts in repositioning the Agency towards its primary role of providing an enabling environment for the development of the Nigerian maritime sector. While noting that the Nigerian Judicial system has challenges in adjudicating maritime issues, Dr Omo-Eboh pledged the readiness of the Association to work closely with NIMASA to resolve issues relating to the progress of the sector. “In order to continue to maintain the role of Nigeria as the lead maritime sector in Africa, Nigeria needs the Arbitrators,”he declared. Dr. Omo-Eboh noted that setting up of an arbitration centre in Nigeria is more desireable than the present practice of traveling to New York, United States of America and Singapore amongst other places for arbitration, a practice he described as a drain on our foreign exchange. He solicited the Agency’s support in making this a reality.